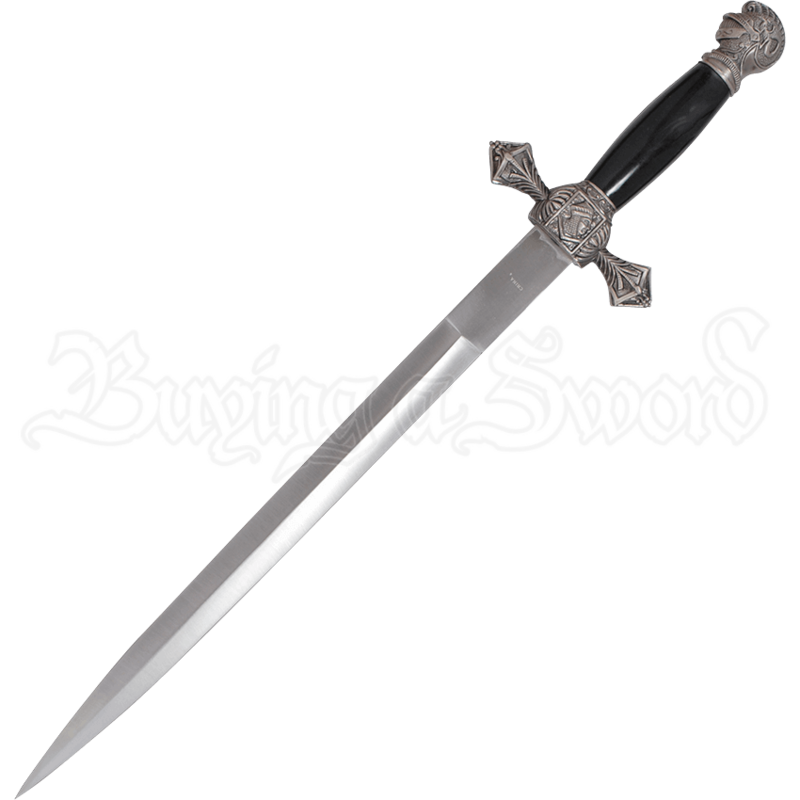 With intricate symbology decorating its stainless steel form, the Knights of St. John Diamond Guard Dagger is an ornate take on medieval weaponry. This decorative Crusader dagger features an engraved pommel shaped like a knights helm. Attached to a rounded, high gloss black plastic grip, the guard features matching ornate symbolism and short, three dimensional diamond shaped arms. 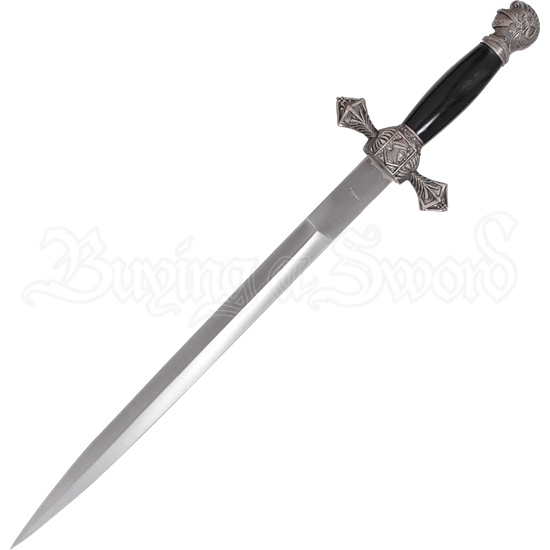 The dagger blade is made of 440 stainless steel. Whether displayed as a unique home decor piece, gifted to a loved one with interest in the medieval era, or used for ceremonial purposes, this gorgeous historical dagger presents an intriguing take on Crusading knighthood and the weapons associated with these medieval warriors. A matching sheath comes with the steel dagger, made of black plastic and detailed with a matching engraved, stainless steel endcap and throat.